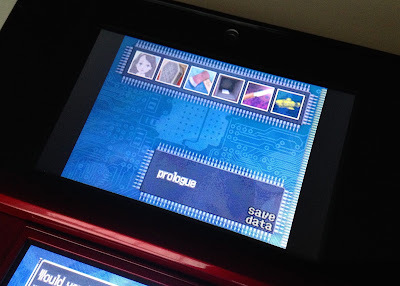 Yes, it's true; I've finished Chunsoft's horror-tinged visual novel, 999 (aka 9 Hours, 9 Persons, 9 Doors). And when I say I've finished it, I mean all of it. I experienced every single ending it has to offer, including the hours-long "true ending." For those of you who've yet to play 999, an icon is added to the game's opening screen whenever you wrap up one of its six endings. Even with 999's fast-forward function--which lets you race through text you've already encountered--finishing the game six (or, in my case, five) times can take a long time. Have any of you also played--and fully finished--999? If so, can you shed any light on its true ending? Some of it seemed to make sense, but the rest of it was brain-meltingly confusing. One last comment-slash-question before I hit "publish": that last interactive section of the true ending is shockingly beautiful, don't you think?